Everyone in the terrace started crying, signing, hugging each other. It was such an emotional and unforgettable experience. 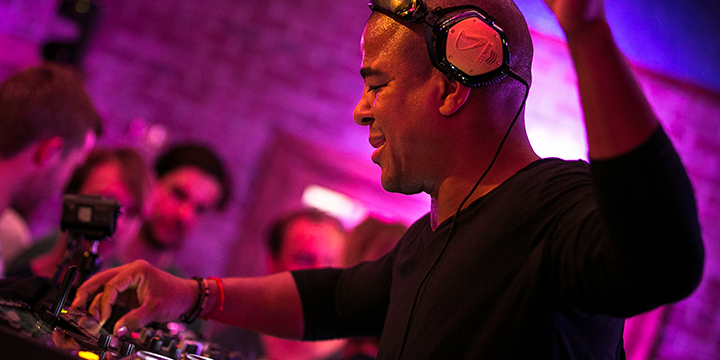 Erick Morillo was born in New York and started his DJ career when he was just 10 years old through the influence of his neighbor. He then began practicing and learned how to use turntables by himself as becoming a top DJ became his number one goal. He was recognized as a producer by El General’s “Muevelo”, which was nominated several times and thus started to gain recognition worldwide. 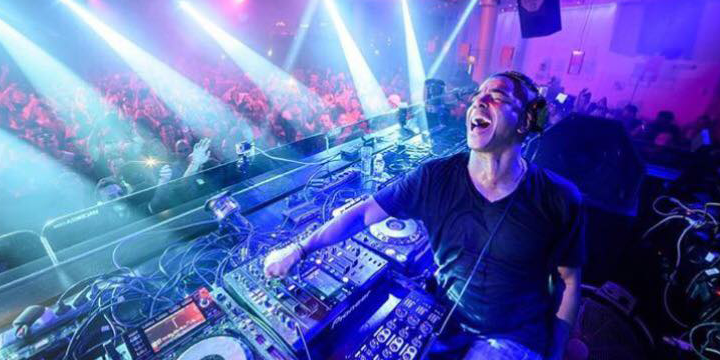 Recently, Erick Morillo has been swamped with 30+ bookings per month at venues all over the world. It seems his musical prowess is increasing with every show, delving deeper and deeper into the heart of the music, which is just another reason why we can't wait to listen to his upcoming music. DJ Mag Japan was honored to have been given the opportunity to interview Erick Morillo and we appreciate his sincere response for the interview with us. Q1. We heard that your new single “Oooh” just released. Would you like to tell us more about it? ‘Oooh’ is a track that I produced with the very talented vocalist Angel Taylor. It’s a tech-house track with a smooth vocal that gets the dance floor going. ‘Oooh’ has been burning up my dance floors all over the globe and it’s received great feedback from the fans and DJs alike. Q2. How did you start making music in the beginning? And when you decide to make music, could you imagine how your life would float and are you satisfied with the decision if we may ask? I started collecting music when I was six years old. At age 10, I saw a neighbor Djing and soon after, I begged my mother for turntables and a mixer. I spent countless hours teaching myself to DJ. After DJing throughout my teenage years, I enrolled in the Center For Media Arts in New York City to become a music engineer. My first experience with producing music was doing edits of other tracks to play in local gigs in New Jersey. During one of these local shows, I was approached by El General who wanted to know the name of a mix I was playing. Upon learning it was my edit, he asked if I wanted to produce a track on his album. The track, ‘Muevelo’ was a huge success and it was nominated for several awards. After working on El General’s album, I started producing house music and the rest is history. I’m very blessed that I was able to pursue my passion in music. Looking back, I would have never imagined that I would someday accomplish so many of my career as well as personal goals. Growing up, one of my dreams was to one day buy a house for my mother. Fortunately, I was blessed to have had that dream come to fruition. I’m also very lucky that I get the opportunity to travel the world making people happy playing my music. Q3. Who or what is the most musically influenced to you? I was raised by a mother who played music at our house practically everyday. She was definitely my first musical influence. The Latin rhythms that I would hear daily, later played a huge part on how I would produce music. As a teenager, I was influenced by DJs such as Little Louie Vega, Frankie Knuckles, Tony Humphries and David Morales. Q4. What is your vision for the Subliminal Records? Subliminal is well on its way to re-establishing itself as the go to label for underground, tech-house, deep house and house music. The re-launch has been extremely successful and the Subliminal/Armada partnership has been fantastic. Armada understands the label’s vision and sound and it’s a great partner to have to help move the label in the right direction. Since May, the label has been releasing a new track every two weeks. In addition, we have released a few of the Subliminal Classics remixes such as Harry Romero ‘Dancin’ (Harry Romero and Doorly remix) and Harry Romero feat Robert Owens ‘Back’ (Kölsch remix). The Subliminal Classics Remix project has caught the interest of many well known producers such as The Martinez Brothers, Nic Fanciulli, Pirupa, Eats Everything and many others who are currently working on remixing a Subliminal Classic. The idea behind the project, is to re-introduce the classics to the new generation but with a modern sound. There is a lot of new music in the pipeline and I’m so excited because the release scheduled is full until the end of the year and I can’t wait to hear the feedback from around the world. Q5. Which location and event is your most impressive tour experience so far? And why is that? 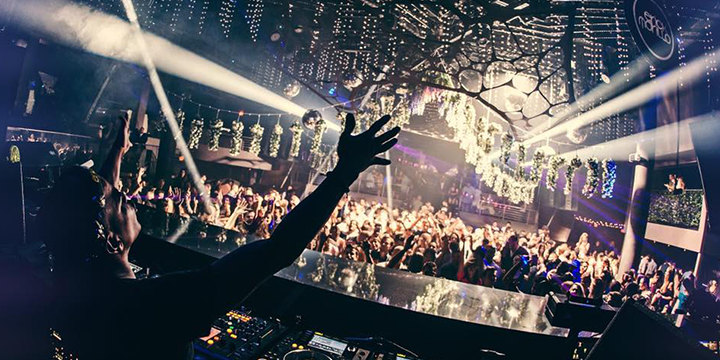 The one event that tops them all is when I played the closing party at Space Ibiza right afer 9/11. I was in New York and all the airports where closed. I was not sure if was going to be able to leave the country and by pure luck I was able to get on the first flight out of JFK airport. I made it to Spain just in time for the closing. Everyone in the club was trying to have a great time considering what was going on around the world. As I was finishing my set, I played Frank Sinatra’s ‘New York New York’. The reaction from the crowd was overwhelming. Everyone in the terrace started crying, signing, hugging each other and some people started waving US flags. Everyone just came together for that special moment to comfort each other. It was such an emotional and unforgettable experience. Each time I think about it, I get goose bumps. Q6. What is DJ Mag to you as a DJ and producer? DJ Mag has always been a magazine that has informed people of the upcoming trends as well as letting them know who is successful within the dance music industry. Q7. Please leave a message to Japanese audience. To my Japanese fans, thank you for the support over the years. I’m looking forward to visiting Japan very soon and dance with you all day and night! One love!